Planning a beach themed event? 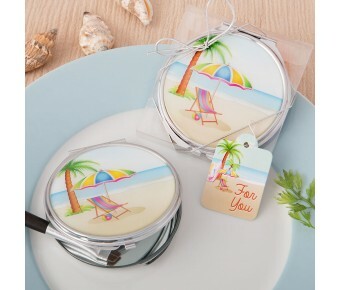 Add the perfect final touch with a compact mirror favor that features a delightful seaside scene! This fun colorful seaside scene will blend in perfectly with your beach themed event and makes a great favor too! 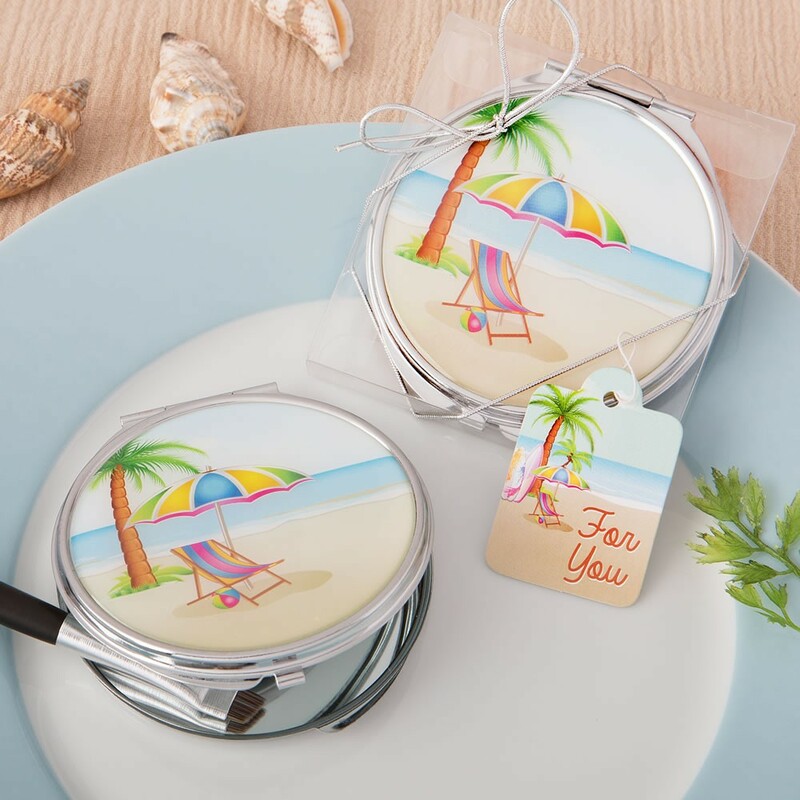 Our compact mirror is made from silver metal and has an epoxy cover. 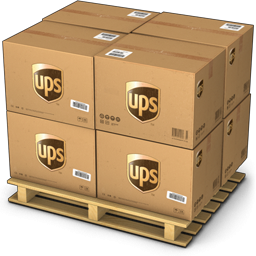 It has a hinged opening and a clasp for secure opening and closing. On the top of the compact is a lovely beach scene in vibrant colors showcasing a beach chair, a beach ball and an umbrella under a palm tree. Inside, the compact has two glass mirrors one with 1 x magnification the other with 2x magnification. This is a fresh and fun favor, designed to capture the spirit of a beach or ocean themed event! This is the perfect favor designed to capture the spirit of a beach themed function. Your guests will be delighted to keep one in their handbags as a reminder of your special day!